Leading classifieds publisher Bauer Trader Media has expanded into the jobs market with the recent launch of its new website, TradeYourJob.com.au. 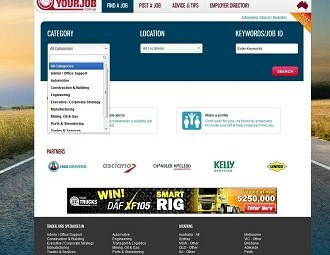 TradeYourJob.com.au brings together transport, rural and skilled trades jobs in the one place, with the option of print, online, mobile and iPad access to the latest job ads. The new website features job listings across the transport, rural, agriculture, construction sectors as well as other skilled trades sectors. 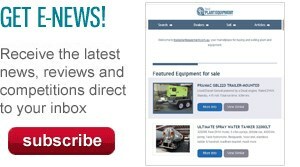 TradeYourJob.com.au boasts a mobile-friendly interface and features a massive print presence in more than a dozen industry leading magazines such as Deals On Wheels, Earthmovers and Excavators, Farms and Farm Machinery and Plant & Equipment. Users are able to post their jobs online on TradeYourJob.com.au and several other trade classifieds sites, as well as in a number of industry specific print titles -all under the Bauer Trader umbrella. Bauer Trader Media CEO Keith Falconer says the new portal would make it easier for both job seekers and employers to find each other in these specialised trade occupations. "Our integrated multi-platform publishing model – with online, mobile iPad and print all working together – gives employers and workers the right tools to make the right connections to get working," he says. "Most of our readers prefer print, but many value the searchability of a website and accessibility of mobile, so we are giving them the full range of options to access the jobs they want." Falconer adds the website applies all the company’s publishing resources to serve an employment sector which has traditionally been under-served. "Over the years we have built enormous trust with our readers and advertisers, and we are honouring that trust by including TradeYourJob.com.au in all our publishing formats." "For skilled trade workers, transport and logistics professionals, managers and executives, TradeYourJob.com.au brings together all their jobs in one place for the first time."